Jamila Joiner (’13) just finished an immersive theater performance at the Gamut Gallery called Beauties Behaving Badly in the role of Sleeping Beauty. She has also played GG, the dysfunctional robot in Barbarella: The Wrath of Time at The Belmore and she worked on the set of a toy opera at the Open Eye Theater called Strumply Peter. Check out Jamila in action below! 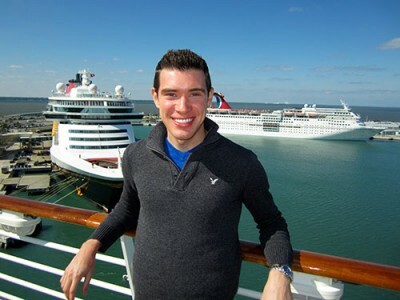 Vincent Bedard (’11) recently completed his junior year at the University of Central Florida’s Rosen College of Hospitality Management in Orlando. This summer, Vincent will embark on a new adventure as a front office property intern with Hilton Worldwide. Following in the footsteps of Lumiere, the last role Vincent played on the Loft Stage, he is very excited to be joining the Hilton family to “fill the earth with the light and warmth of hospitality.” As always, Vincent continues to fulfill his love of travel by exploring new destinations as often as possible. Vincent will travel to his 29th country this May (Portugal). After leaving East Ridge for Oklahoma in late 2012, Jack has been very active in the Edmond North High School theater program, traveling to Scotland for the American Theatre Festival and most recently, playing Riff in West Side Story. This summer Jack will participate in the Quartz Mountain Summer Arts Institute with New York acting instructor A. Dean Irby and members of the BATS Improv Company in San Francisco. Jack will be attending the Musical Theatre Degree Program of the Wanda L. Bass School of Music at Oklahoma City University where he was awarded both theatre and academic scholarships. Kristen Chenoweth, Kelli O’Hara, Ron Raines and Lara Teeter are all Tony award nominated alumni of this program. 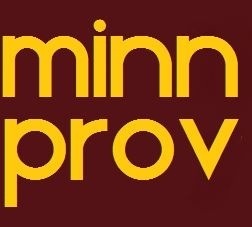 Ben Gotz (’12) will be performing with minnprov this Saturday, April 19th at The Whole at Coffman Memorial Union. Tickets are $5.00 for adults and $3.00 for students. This is the last performance of the year so don’t miss it! All of the money raised will go to the Boys and Girls Club’s CAPA program which allows inner city kids (elementary through high school) the opportunity to take singing, dancing, acting and performing classes who wouldn’t otherwise have the opportunity to do so. To see more, check out this video. If you would like to donate, please do so before April 25th! Evan Coutu (’13) leaves in June for a full-time two year mission for the Church of Jesus Christ of Latter DAy Saints. He has been assigned to the Poland warsaw Mission and will teach the gospel in polish! At Brigham Young University, Evan is involved as part of the BYU International Folk Dance Ensemble and enjoys learning dances from all over the world. In what little free time he has, Evan enjoys rock climbing in the mountains around campus. He will be home in May and is anxious to catch up with old friends!